To make cleaning easier and to keep stains from setting into the porous stone, your granite countertops should be properly sealed. Make sure to use a spray bottle to apply your countertop sealant. Before applying the sealant, clean the entire surface of the countertop with a warm, wet cloth using a granite cleaner or the homemade cleaning mixture listed below. Wipe the counter with a dry cloth, and wait 15 minutes before sealing to make sure it is thoroughly dry. 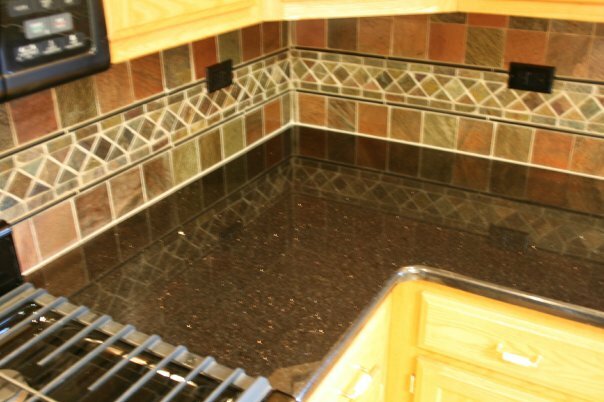 Spray the sealant mixture evenly over the granite surface and let it sit on the counter for 15-20 minutes. Resist the urge to wipe the countertop, as the sealant will not absorb into the granite surface if it is wiped prematurely. Don’t worry if you see a haze from the sealant; it will wipe off and is not permanent. The best way to prevent stains from setting in is to immediately wipe any spilled liquid, sauce or food with a warm, wet cloth and dish soap. For regular cleaning, you can either purchase a granite cleanser or mix an easy solution of your own. Simply combine mild dish detergent and rubbing alcohol. Add 1 part standard rubbing alcohol to 3 parts dish soap. 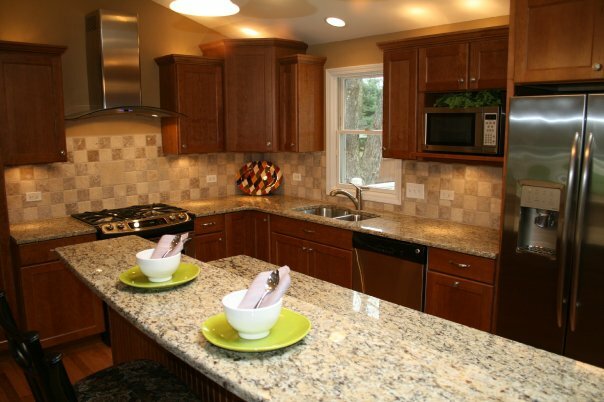 It is important not to use vinegar or lemon cleaning solutions on granite, as they are too acidic. Rubbing alcohol has a pH level of 7.0, which is the same as water but is also an antiseptic, which is perfect for cleaning granite countertops. Make sure that you use a clean, white cloth without any excess lint or fibers that can rub onto your countertop. A new cloth diaper or microfiber cloth work well. Fill a bucket with water to dip the cloth into. Your water should be very warm but not too hot. Before cleaning, clear off all excess items, appliances, etc in order to reach the entire surface. Wipe any hardened debris with your cloth prior to cleaning with the solution. Soak your clean cloth in the homemade cleaning solution before using it on the countertop. After wiping the entire surface, go over it with clean hands to see if you missed any spots. The beautiful granite designs are good at hiding dirt and can make certain spots undetectable to the naked eye, but a clean hand can usually detect caked-on debris that the cloth may have missed. After cleaning, use a dry microfiber cloth to dry the area to prevent streaks and leave you with a spotless, shiny surface. If you have tough stains that you can’t seem to get off or that have been there awhile, baking soda is great at getting them out. Make a poultice baking soda mixture to set on the stain. For water-based stains, mix 1 cup baking soda, 5 tablespoons dish soap and enough hydrogen peroxide to make a pudding-type consistency. For oil-based stains, combine 1 cup baking soda, 5 tablespoons dish soap and enough water to make a pudding-type consistency. Pour the baking soda poultice on the stained area and cover with plastic wrap. Allow it to remain on the stain for at least 24 hours before wiping off. Following these simple preventative, everyday and deep cleaning procedures will keep your durable granite countertops looking gorgeous and will prevent you from having to replace them any time soon. Give us a call at 630.281.2568, send us a quick message, or schedule a consultation and estimate. 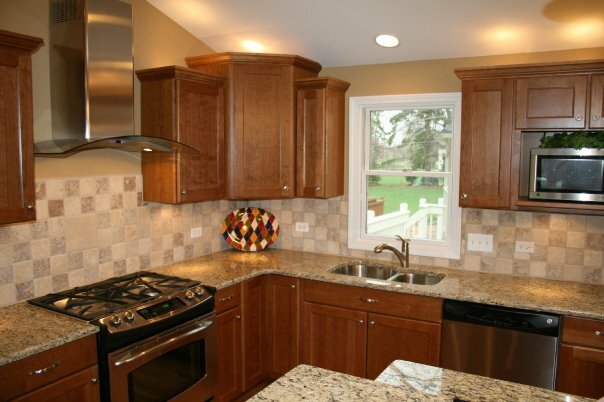 Custom Cabinets vs. Stock: Which is Better?